Connections make life worth living, but more than that, connections make life itself. At the most quantum level, possibilities connect and become waves. Waves connect and become particles. Particles connect and become atoms. Atoms connect and become molecules. Molecules connect and become cells. Cells connect and become gametes. Gametes connect and become us. We connect and become communities. Communities connect and become countries. 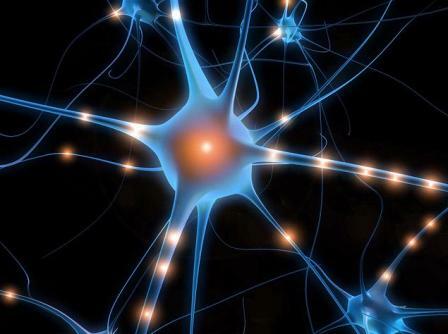 A matrix of connections in our brains makes thinking possible. An entire matrix of connections hold s us to the earth and makes living possible. Despite these long strings of connections, I’m beginning to see that disconnections are almost as important as connections. When my life mate/soul mate died a little more than three years ago, the connective tissue of my life disintegrated, and my world lay in a heap of rubble at my feet. Since then, more connections have disintegrated, adding to that heap of rubble. Some of those disconnections were interpersonal ones — friends and family. Other disconnections were intrapersonal ones — thoughts, hopes, even my very identity. Often during these past years, I have despaired at the thought that only bleakness lay ahead of me. But bleakness is but one possibility. Within that pile of rubbish lie many new possibilities. Perhaps I am one of the lucky ones, getting to start all over with a new set of possibilities. As people have been telling me for the past three years, life is such a big place with endless possibilities I have never dreamed of. They have told me the universe is unfolding as it should, and that it is not yet finished working in my life. They have told me that wonderful things lie ahead of me. What of that is true, I don’t know, but what I do know is that no matter what fate has in store for me, I am not yet finished working in my life. Just as I am gradually sorting through the detritus of my shared life, getting rid of things for which I no longer have any practical or emotional need, I am sorting through the rubble of my shattered world. Maybe I will find enough shards to rebuild my life into something workable, or maybe I will have to go out and look for pieces I can use to rebuild my life into something special. Since my current responsibilities keep me from actually going out in the world and physically searching for new connections, I am starting with me, rethinking old beliefs, trying on new thoughts, discarding old hopes, and dreaming new possibilities into reality. Because, at its most basic level, life is nothing but possibilities. Pat that was really good about connections and disconnections. We need to do both and I am realizing I am the only person who can do that, both things actually. Last week I finally took my wedding ring of 52 years off. It was very difficult but it’s now in the drawer as it doesn’t have any bearing to my “new” life that I have to create. Also know that I am the only one who can do that too. Next Thurs I am going to take a big step and go to a Singles Golf group 2 1/2 hours from where I live in Kansas City where we lived and our 3 children live. It’s very scary the thought of walking into their monthly meeting, not knowing anyone, having them all size me up and try to keep my composure. I’m afraid they will be mostly aged 40’s to 60’s but am told there are some “older” ones who come(I’m 74). From what I’ve heard they are a very active group and play golf at different places around MO. and Nationally. I also signed up to volunteer at our hospital which is 1/2 hr away. I know I need to widen my horizons and create a life for Linda. It’s so hard and so scary but doing nothing is getting to me. I’m a people person and not good without interaction. Anyway, I agree with the connect and disconnect part of our lives. It’s just such a different life. Best of luck with your new ventures/adventures, Linda. It takes great courage to do such things, but that is something we bereft seem to have. Methinks the lady may be wise. I hope that within the shattered rubble, you’ll find many probable worlds worth investigating. The matrix is a wonder in and of itself, and I can’t help but think the biggest wonders come out of the power of expectation and imagination. Interesting. The power of expectation and imagination. I’d never considered that before. Something to think about. Well written Pat. Part of my life journey thus far is to understand that nothing is forever. Luckily the more I learn the more excited I get about ‘possibilities’ despite knowing there will be times of despair. Maybe we’ll both be able to find unimagined possibilities somewhere in the future. « To Whom Do We Owe Loyalty?